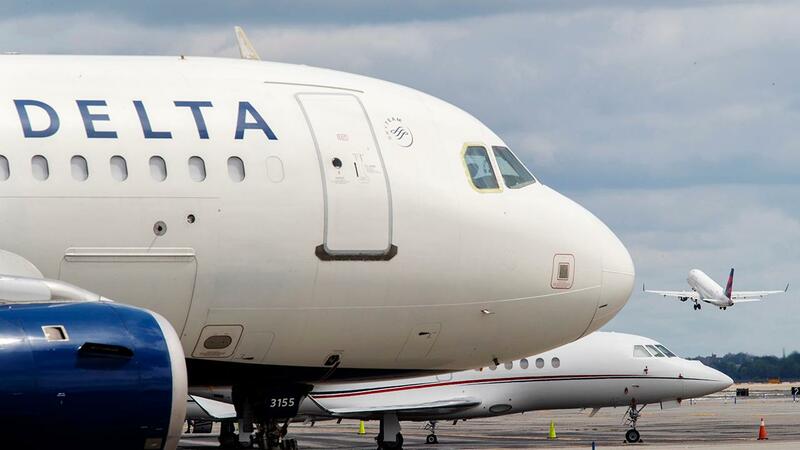 (Reuters) - Delta Air Lines Inc on Wednesday gave an upbeat profit forecast for the second quarter and reported a better-than-expected quarterly profit, boosted by a renewed agreement with credit-card issuer American Express and robust travel demand. Shares of the No.2 airline rose 3 percent as the results offered some relief to investors worried that airline profits could come under pressure from the prolonged U.S. government shutdown, global groundings of Boeing 737 MAX jets and increased outages. Delta does not own MAX and that has helped its shares outperform those of its rivals American Airlines Group Inc and Southwest Airlines Co, who own the biggest fleets of the grounded jets in America. Analysts say Delta&apos;s renewed deal with American Express Co earlier this month was likely to add about $400 million to its 2019 revenue. The airline said it expects profit for the second quarter to be in the range of $2.05 per share to $2.35 per share. Delta forecast total unit revenue, a closely watched performance metric, to increase 1.5 percent to 3.5 percent in the second quarter. The No.2 U.S. carrier&apos;s net income rose to $730 million in the first quarter ended March 31 from $557 million a year earlier. On an adjusted basis, Delta earned 96 cents per share, beating expectations of 90 cents per share. Total operating revenue rose 5.1 percent to $10.47 billion in the quarter. Shares of the airline were up at $58.3 in trading before the bell.